Opening day is just over two months away! If you have not signed up yet, now is the time! We have some great new shares available! If you want to meet some of the farmers firsthand, come visit us at the first-ever indoor market in Millburn! On April 7th, Farm & Fork Society and Green Nectar Juicery are hosting THE COURTYARD MARKET. 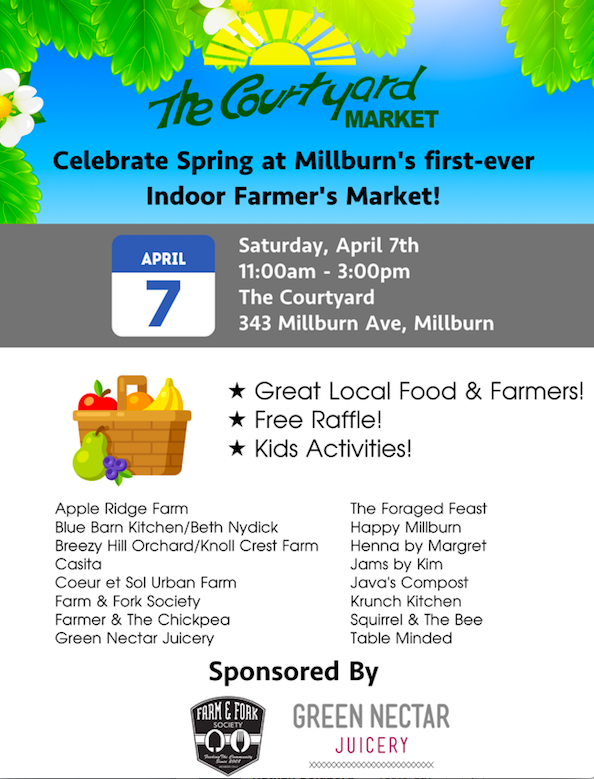 This indoor market will take place from 11-3 PM inside the courtyard building in Millburn. Our farmer partners at the market include Breezy Hill Orchards, Knoll Krest Farm, The Foraged Feast, Apple Ridge Farm, Coeur et Sol Urban Farm along with other great vendors! We will be there also to answer all your questions.